Zespri shipping manager Mike Knowles has revealed that Seatrade's recently announced decision to exit the Meridian shipping routes to Northern Europe and East Coast North America has seen the group turn to CMA CGM. CMA CGM has agreed to step in and provide uninterrupted service on these routes for New Zealand exporters, he confirmed. “We’ve partnered with Seatrade for many years and enjoyed excellent and loyal service from the company for which we thank them," Knowles explained. “While it’s sad that they won’t be operating in New Zealand anymore, we’re confident that CMA CGM will run an excellent service for the New Zealand kiwifruit industry in future," he continued. 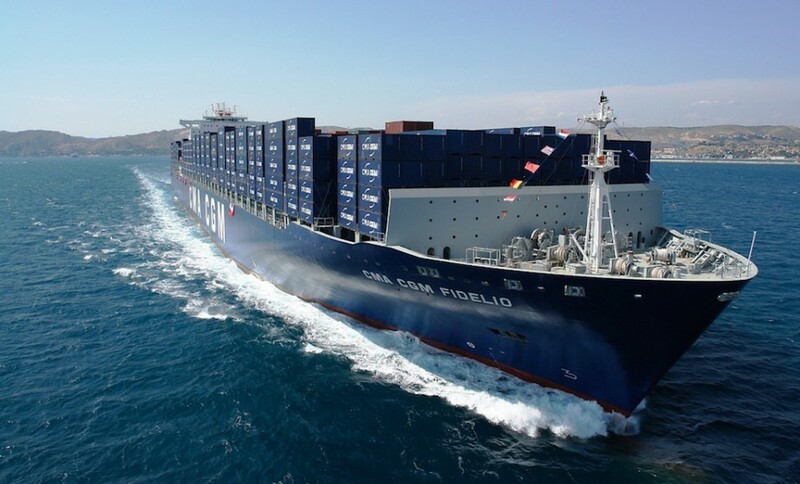 "CMA CGM will provide a fixed-day weekly service with a best-in-class 32-day transit to Zeebrugge next season which is based around the purpose-built Seatrade colour class ships and water-cooled containers. “This contract is a significant step forward in our relationship with CMA CGM, one of the world’s top container lines," Knowles added. "This service is based on the FDD principle (Fast, Dedicated and Direct) and we’re confident that this service will be successful for both parties." The announcement has been welcomed not only by the kiwifruit industry, but by all New Zealand perishable shippers who want to get their goods quickly into this key European market, the group said.